I go in search of my high quality gems and minerals at the Tucson Gem and Mineral Show, in Arizona. It is a wonderful experience where you can meet with people from all around the world and buy the gems directly from the mine/miner/lapidary artist etc. 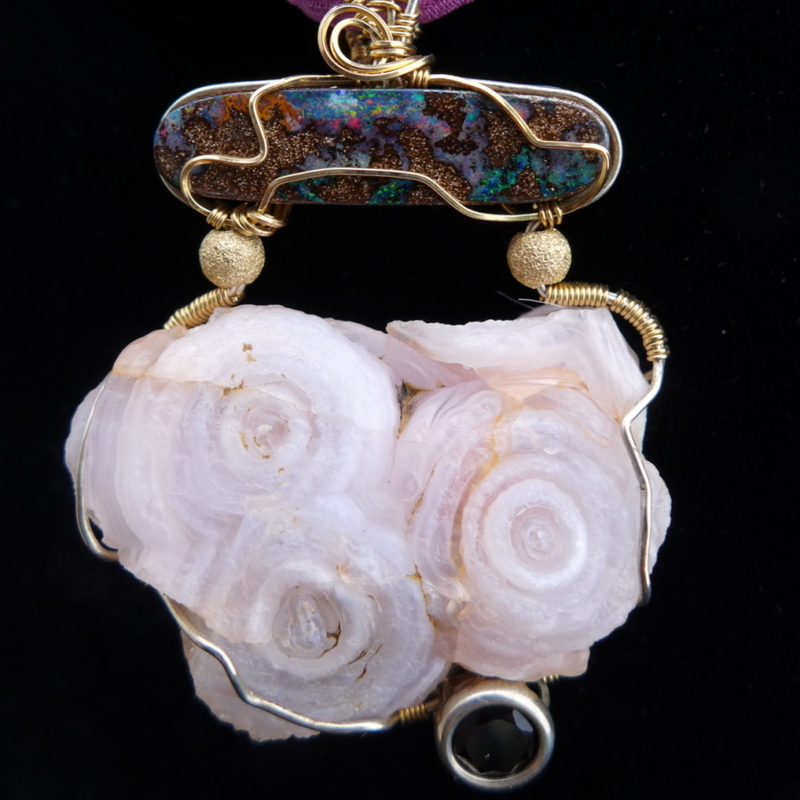 I hand pick only the gems that I love and bring them back to Damariscotta, Maine, where I wire wrap them into unique, wearable works of art. 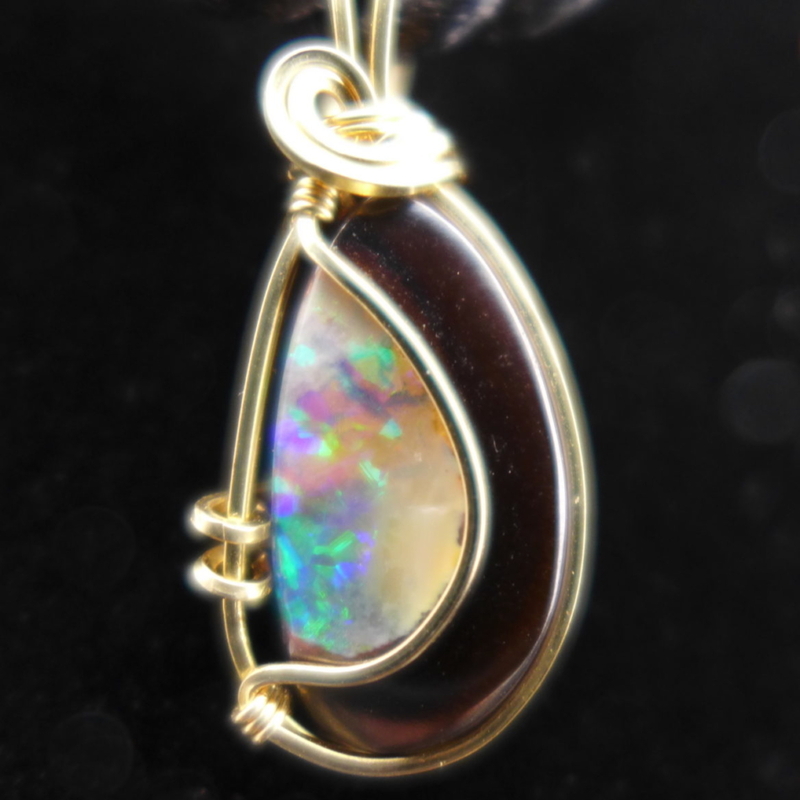 My style is generally asymmetric and minimalistic as to accentuate, and not take away from, the natural beauty of the gems. 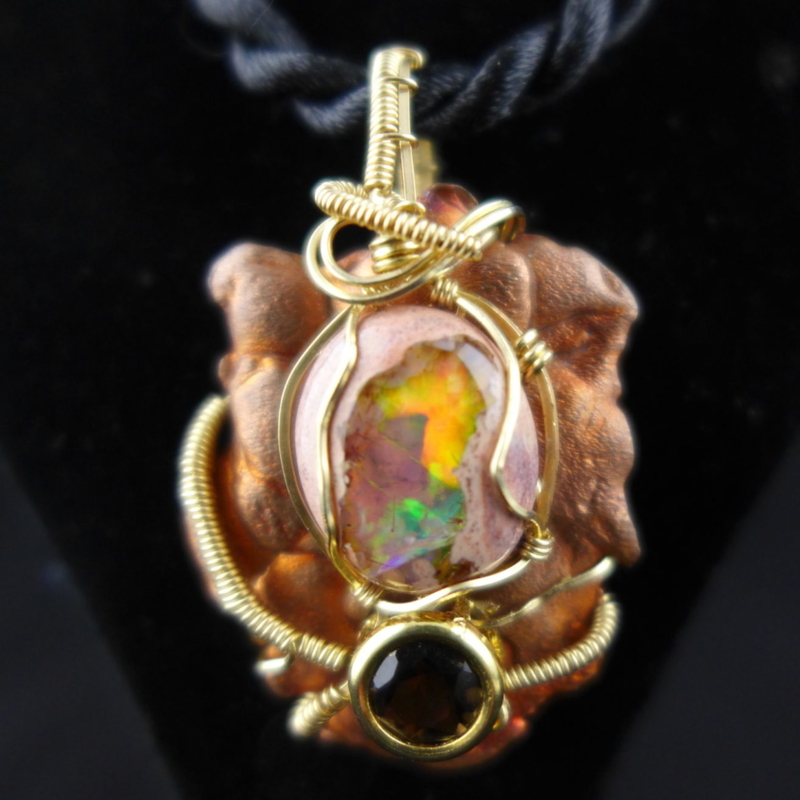 My line of copper jewelry is also very unique. 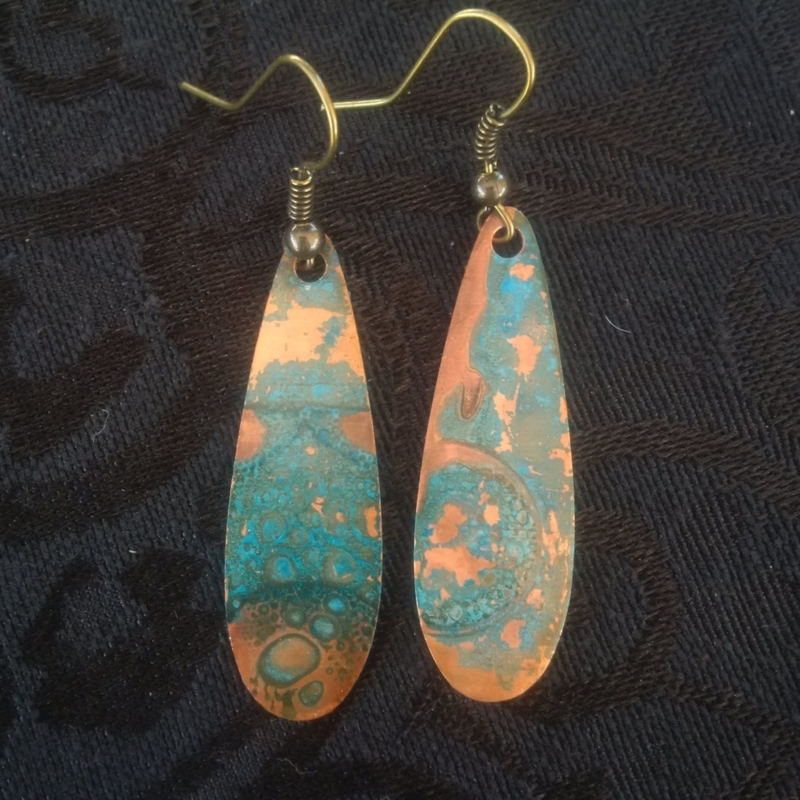 I’ve mastered the bright blue ammonia patina and have incorporated it into earrings, bracelets and necklaces. The designs are completely random, depending on its exposure to the ammonia throughout the week-long patina process.